When I went on my annual adults Christmas shopping trip last month to Swindon with my siblings and our partners, I went to various shops that I wouldn't usually pop into myself. We visited designer stores, outlet stores and high street stores, it's the one time of year where we can shop childfree, have some catch up time and drink as many coffee's and hot chocolates as we like without the fear of a little one running into us! One of the shops I visited with my siblings was House of Fraser, a shop I've visited in person only a handful of times, but more of a shop I shop at online as I look around to use a House of Fraser discount code for more savings. I went into the store planning to leave empty handed, walking around with my siblings whilst they shopped! However I come out of the store with two bags, filled to the max! I walked out with a few summer tops for Spud in the next size up, ready for him to wear for Summer 2016 (that'll be here before we know it, we're already nearly celebrating Christmas 2015!) and lots of Christmas decorations, cards and wrapping paper along with tags! I'm not one to resist a bargain, and had to be dragged away from the women's floor by Gareth after spending a good 45 minutes looking at dresses! We're not sure exactly what our new years eve plans are just yet, however I'd like to have a new dress in my wardrobe just incase! The only problem is, House of Fraser have such a large party range available for the whole family, that it's been quite the task for me to pick a dress that I love, I love way too many, but know I can't stretch to affording them all! However, one of you may be in luck because I (along with a few other bloggers) have a £150 House of Fraser gift card to giveaway to one very lucky winner! Just thinking about what I could buy with those vouchers is making me smile inside and out! What woman doesn't love to shop!? Below are just some of the items I'd consider buying if I had the gift card to spend, what would you go for? 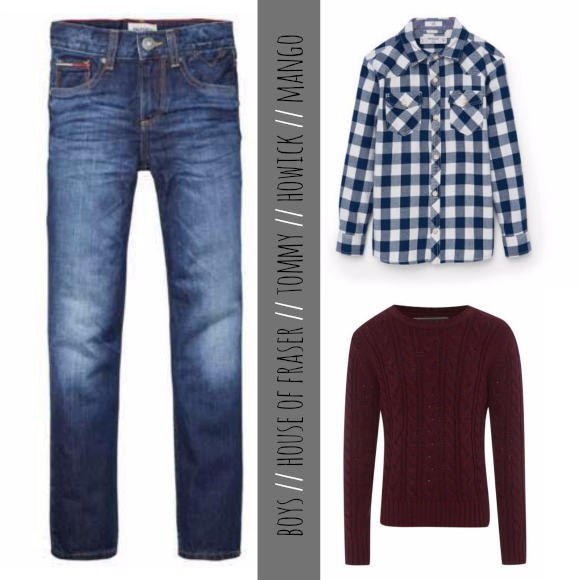 For Spud I'd get these three items above, a pair of Tommy Hilfiger Boys Clyde Jeans (£52), a Mango Boys Check Cotton Shirt (£9.99 in the sale, was £14.99) and that beautiful Howick Junior Boys Kevin Cable Crew Neck Jumper (£16.80 in the sale, it was £24) making that a grand total of £78.79, meaning I'd still have a little under half left to spend on myself! 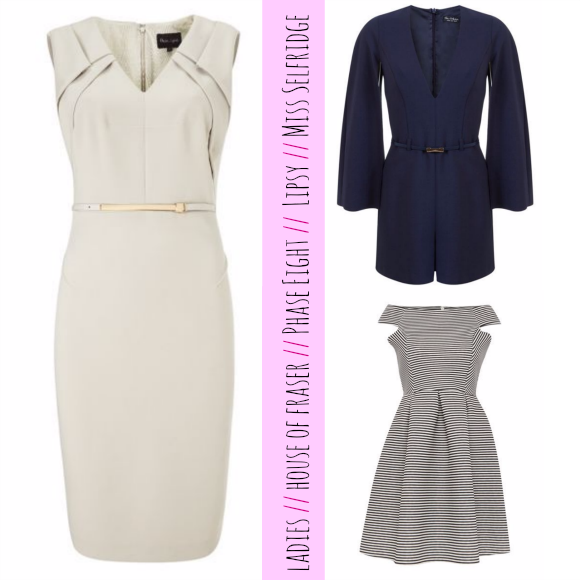 Whilst I can't decide on what dress I would finally pick, I know it would be out of these three items, first up we have the Phase Eight Ashley Dress (£65 from £130), then we have the Miss Selfridge Cape Sleeve Belted Playsuit (£22 in the sale from £45) and last but not least, the Lipsy Michelle Keegan Off Shoulder Striped Scuba Dress (in the sale for £32.50 from £65) and no matter what dress I'd go for, I'd still have change left!? To be in with the chance of winning a £150 House of Fraser gift card with thanks to Bargainfox, enter the competition below!